We’re following my brother, Dr Brian Motil’s experiment, the Packed Bed Reactor Experiment, or PBRE, from the launch December 6, 2015, to deployment and testing. Let’s see where we stand. On May 31, the PBRE was deployed upon the ISS by Astronaut Tim Kopra. 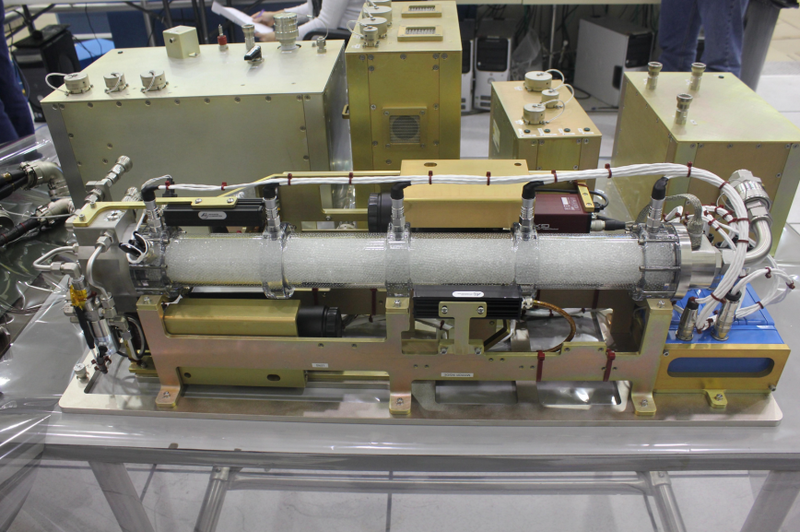 Packed Bed Reactor Experiment (PBRE) Hardware Setup and Installation: The crew reviewed PBRE reference material before gathering hardware, setting up the PBRE and components, and connecting the cables and hoses in the Microgravity Science Glovebox (MSG). The video system did not operate as expected, and troubleshooting was unsuccessful. Ground teams are investigating. The PBRE will be used to study the behavior of gases and liquids when they flow simultaneously through a column filled with fixed porous media. The porous media or “packing” can be made of different shapes and materials and are used in chemical engineering as a means to enhance the contact between two immiscible fluid phases (e.g., liquid-gas, water-oil, etc.). Packed columns can serve as reactors, scrubbers and strippers in systems where efficient interphase contact is desired, both on Earth and in space.